Patvinsuo National Park is a national park in the North Karelia region of Finland, in the municipalities of Lieksa and Ilomantsi. It was established in 1982 and covers 105 square kilometres . There are 80 kilometres of marked walking trails in the area. 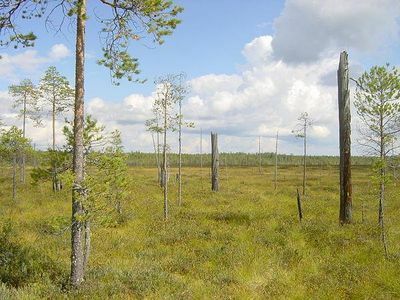 The park has bogs, former managed forest and slash-and-burn areas and some old-growth forests. Suomujärvi lake is located in northeast area in the park.